Australia’s longest operating hot air balloon operation is a master of efficiency both in the air and on the ground. With up to 130 people riding with Balloon Aloft each day, the operational workflow has to be managed as precisely as the steerage, as does having the marketing savvy and customer experience to keep customers coming day after day. Director and pilot Matt Scaife and his team of 43 professionals have achieved this by pairing their decades of ballooning experience with technology to speed up check-in, more effectively target customers, and using data, not opinions, to make strategic decisions. 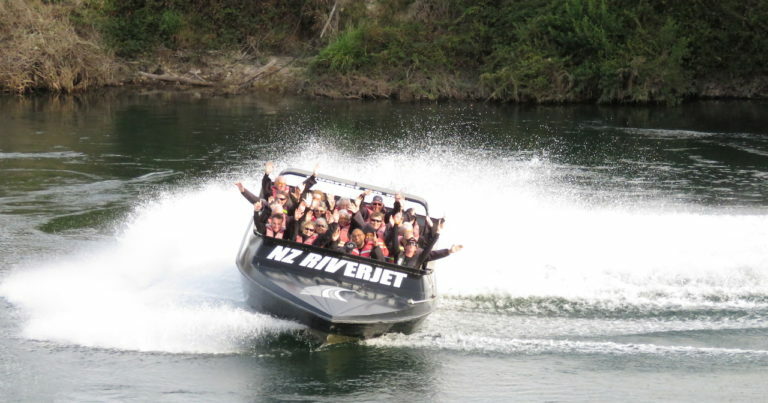 This approach is continuing to build the family business into one of Australia’s pre-eminent adventure tourism operators. Ballooning is at the heart of the Scaife family, and their family is at the heart of Balloon Aloft. Matt and Nicola Scaife are Australia ballooning champion pilots in addition to their day-today giving guests a trip over some of Australia’s most beautiful valleys. Source: The Maitland Mercury. of 6 and going on to gain his pilot’s license at the age of 21. 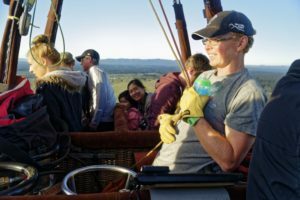 This early exposure built Matt’s skills and he’s since earned the title of Australian champion balloon pilot three times. He married a ballooning enthusiast too; his wife Nicola has achieved the women’s world title twice. Currently, they are the number one and two ranked ballooning pilots in Australia. 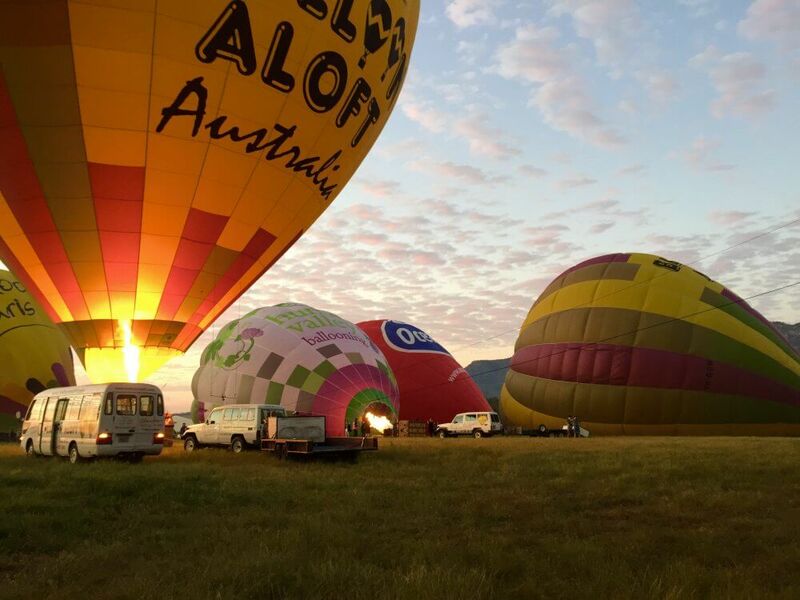 Both work as pilots for Balloon Aloft, which has expanded over the years to operate in Hunter Valley, Camden Valley, Mudgee, Canberra, Yarra Valley and Melbourne. When Matt first started out piloting, a lot of the steerage came down to a balloon pilot’s skill at reading the weather on any given day. Now, weather modeling has changed the game, and the team at Balloon Aloft can predict weather several days in advance fairly accurately. Their pilots, who have a minimum of 100 hours flying under their belts before taking customers up, can use GPS and digital mapping to complement their ability to find the optimum “flow” – or wind current – for the balloon. 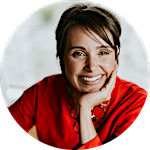 While critical to the business, all of this is behind the scenes from the customer perspective. For the customer, Balloon Aloft provides an adventure tourism experience that pairs the gentle weightlessness of balloon aviation with the thrill of being more than 2000 ft in the air. But before they take off, each guest must check-in. That’s where Wherewolf comes in. Balloon Aloft has always been forward-thinking in terms of technology, and with limited administration staff, efficiency is a priority. The company liked how Wherewolf streamlined the process. 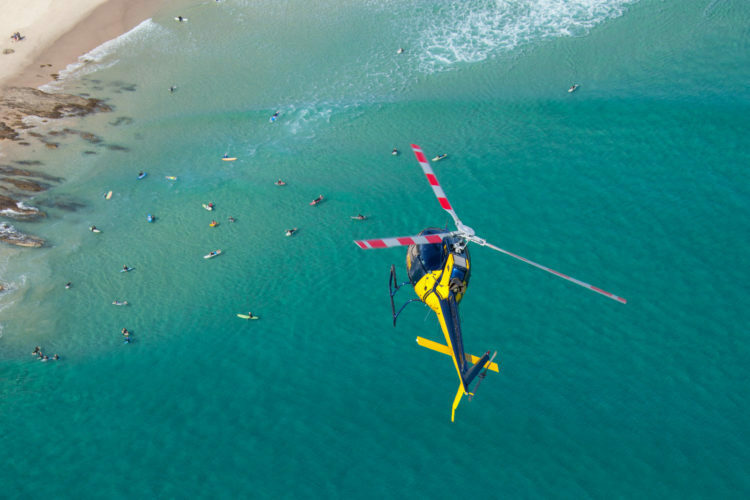 Matt notes that, “the pilots want to get to launch ASAP”, to make the most of the weather conditions, and Wherewolf’s check-in app saves crucial time. “We can have 80 people checking in at one time”, Matt points out, “With Wherewolf, everyone is turned around within 15-20 minutes.” And it’s not just a digital waiver that is getting signed, the hot air balloon operator is collecting valuable customer marketing data that will be used later for strategic planning and targeted marketing. The Wherewolf app is easy to use for Balloon Aloft’s wide range of guests. “Even our least tech-savvy customers find the app self-explanatory to use, and most do it while having a tea or coffee, or selecting their breakfast choice”, Matt says. Balloon Aloft has seen their demographic change with the increasing use of social media. Matt Scaife pilots a trip for guests over the Hunter Valley. “It used to be a retirees activity”, says Matt. 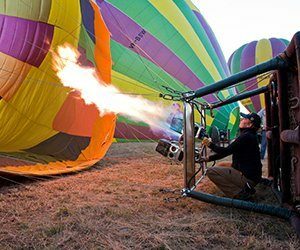 Now, customers range from their early twenties to fifty-plus, and they are more interactive on social media and review platforms, with many sharing their pictures and videos of their ballooning experience in real time. “Five or six years ago, social media was supporting the booking, now it is the initial contact”, Matt says. 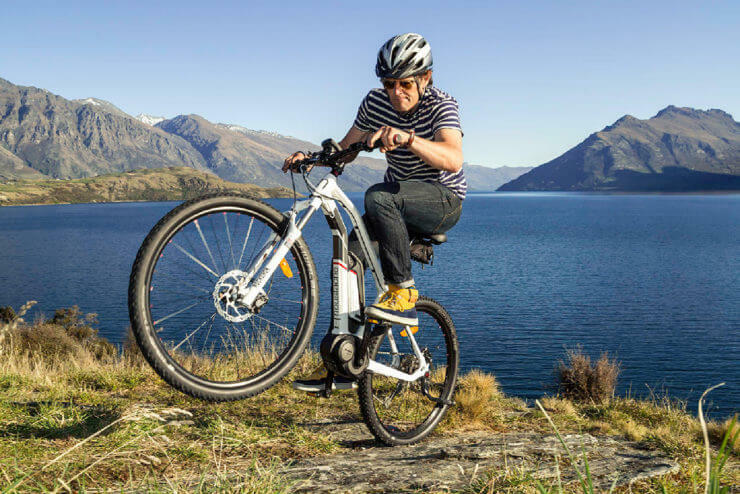 He isn’t concerned about the swift change, however, he thinks it’s “awesome” – especially for marketing purposes. Using Wherewolf’s automated email follow-up process with each customer, Balloon Aloft has seen a four-fold increase in Trip Advisor responses, and their Facebook and YouTube following grow, meaning that the company can continue to build on their online profile among their younger demographic, effortlessly. Wherewolf has also been beneficial for the company’s international growth strategy. “We are moving into China, and we see growth in that market as important to us. So we wanted accurate information on exactly where our customers were coming from”, Matt says. Specifically, Balloon Aloft has used their customer database to track the success of their China sales team’s efforts and see which provinces to concentrate on during future sales missions. The information captured through Wherewolf’s check-in process has also allowed them to create a database for regions based on postcodes, which they are using to build their sales funnel in Australia. Matt’s enthusiasm about the future is obvious: “there’s no going back”. It seems that the only way is up for Balloon Aloft. 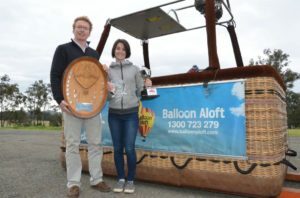 Balloon Aloft is the proud winner of several New South Wales Tourism awards for adventure tourism as well as numerous other tourism and People’s Choice awards. Recently Balloon Aloft was awarded the Trip Advisor Certificate of Excellence for the fifth year in a row. You can learn more about them and book a trip at www.balloonaloft.com. This article was written by Victoria Crockford with contributions from Benedict Armitage. Victoria is a writer based in New Zealand. You can reach her at [email protected].